The Australian Heritage Listed Stony Creek Trestle Bridge steeped in history is located at Nowa Nowa and is a must see on a sightseeing drive from Lakes Entrance in Victoria! Only a short drive from Lakes Entrance, North bound and about 5 km off the main highway lays an intriguing relic of Victoria's history. You will have to keep your eyes peeled for the sign post. On the winding, unmade road into the bridge you may come across animals such as Kangaroos, Bush Wallabies, Koalas (look up into the Gum Trees for these), our flight bird the Emu. There are also all sorts of interesting birds. Such as our beautiful Kookaburra with its outrageous song often called a 'Laugh', Crimson Rosellas, Wattle Birds. You are sure to hear the distinctive call of the Bell Bird! 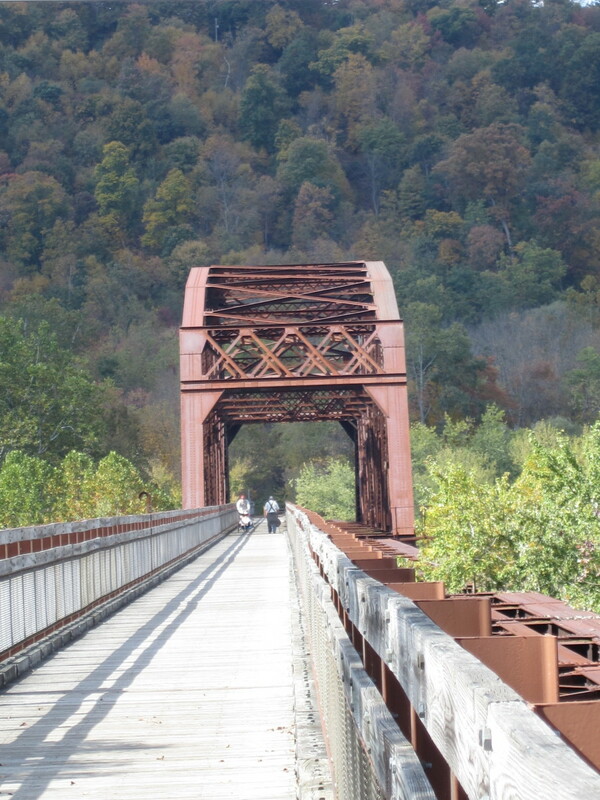 After a nice pleasant drive you will come across what is known as The Stony Creek Trestle Bridge which is a monument still standing in the honor of the men who toiled hard in a harsh environment. Why Construct a Trestle Bridge ? Why build a bridge like this you may well ask? It was decided to build the Stony Creek Trestle Bridge to provide a boost to the regional economy. Up till then everything that was required for the then flourishing town of Orbost had to be transported by either road which was very rough and dangerous or by water which was even more dangerous and subject to variations in the weather and tide. There have been many ships wrecked along the beautiful but sometimes treacherous Victorian Coast . In the years just after WW1, timber was in huge demand and the area surrounding Orbost was very rich in the production of timber. It still remains a rich timber district to this day. Somehow or other the huge logs hewed from the Forests in the Orbost area had to be transported to the Mills and the resulting lumber taken to larger Cities such as Melbourne for further processing. 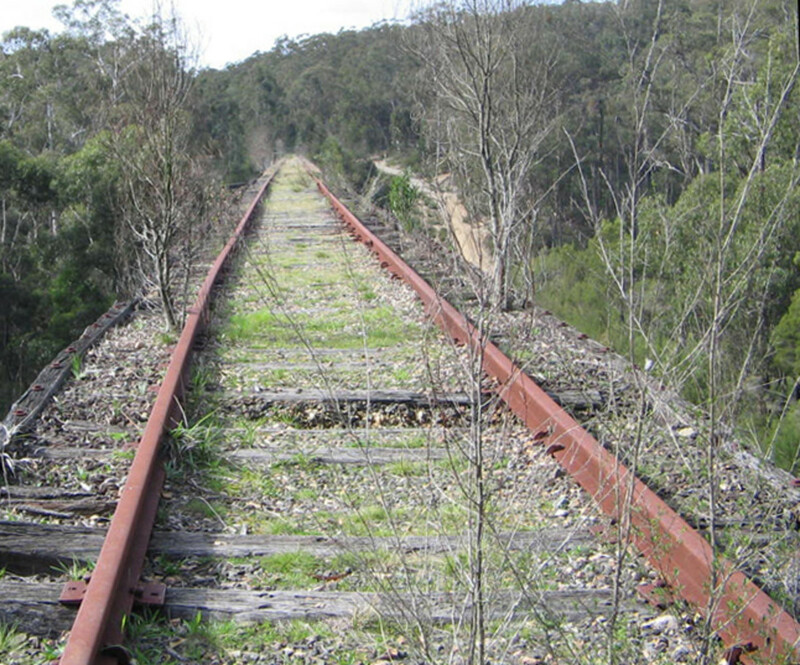 This entailed the continuation of the Rail Line from Bairnsdale to Orbost. So you see it was a very important and necessary requirement for the Stony Creek Trestle Bridge to be constructed. 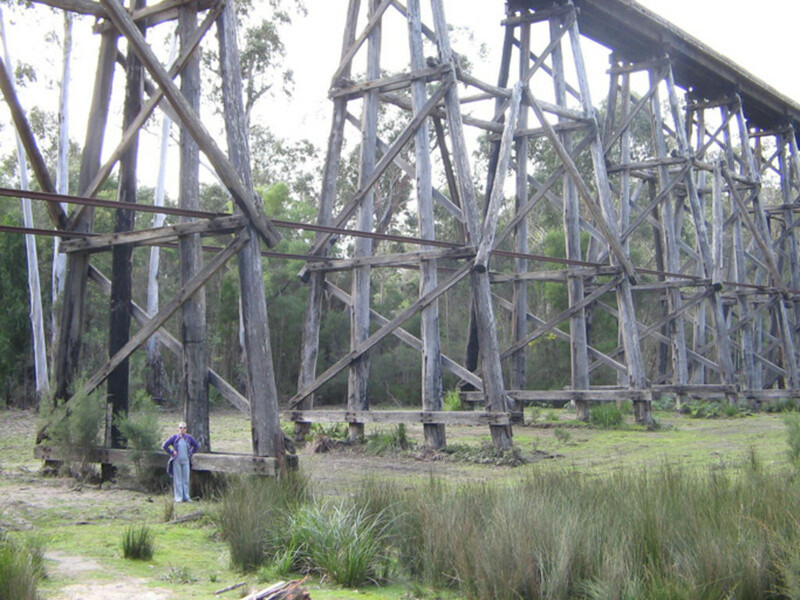 The Stony Creek Trestle Bridge remained in service until a bush fire damaged the structure in 1980, after being repaired the bridge was last used in 1988. Stony Creek Trestle Bridge is Here close to Lakes Entrance. 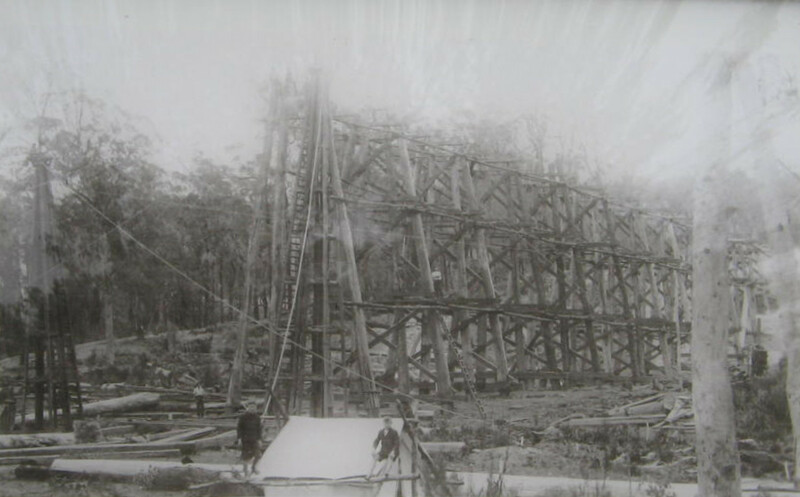 The construction of the Stony Creek Trestle Bridge not far from Lakes Entrance, which was part of a 97km extension of the rail line between Melbourne and Bairnsdale to reach Orbost, began in 1916. 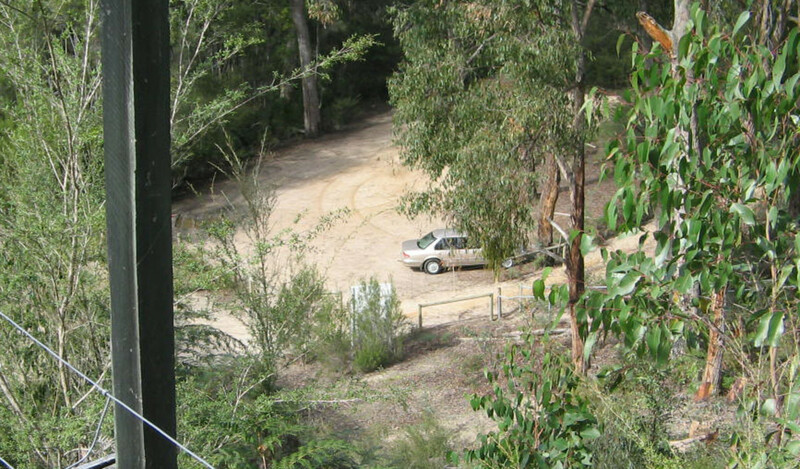 The terrain was extremely rugged, and the project was reputed to be the most difficult rail project ever tackled in Victoria. and built from Red Iron-bark and Grey Box Timber (very hard). All of the timber materials were felled and gathered from local forests, and is a fine example and testament to the early engineering skills of Australian pioneers. 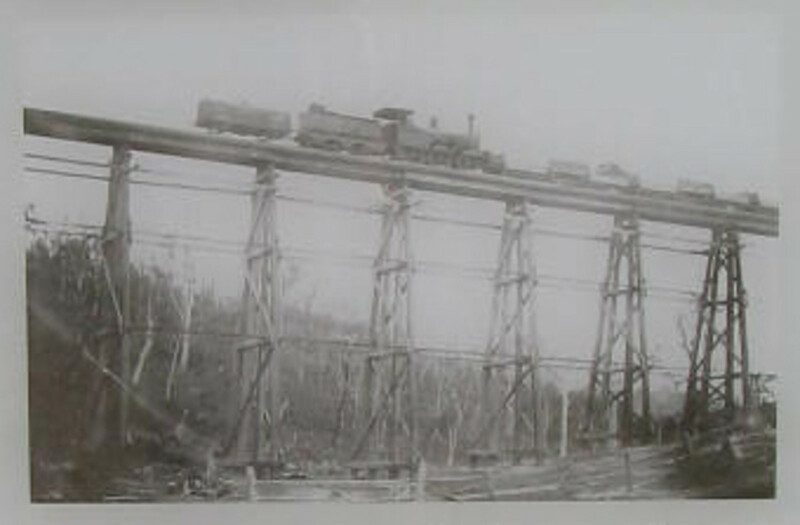 A steam locomotive crossing the Stony Creek Bridge. What sort of traffic did the bridge carry? 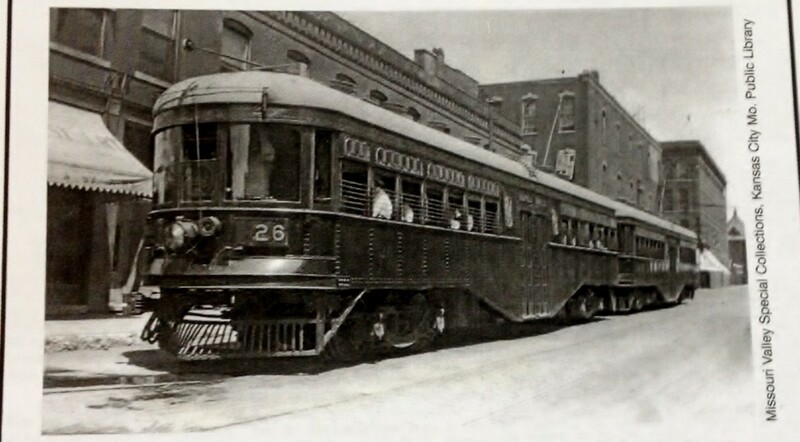 In the early days of the trestle bridge Steam driven locomotives operated across the bridge until 1957 when diesel locomotives were introduced. Unfortunately in June of 1964 a train of timber trucks being hauled by a diesel loco was derailed in which 11 trucks laden with timber came off the tracks causing 3 trucks to topple from the bridge and the other 8 toppled during the cleaning up of the site. Fortunately though the locomotive and the guards van remained on the track and there were no injuries! It is a nice little drive from Lakes Entrance and you have to keep your eyes peeled for the Sign Post about 5 km back from Nowa Nowa. 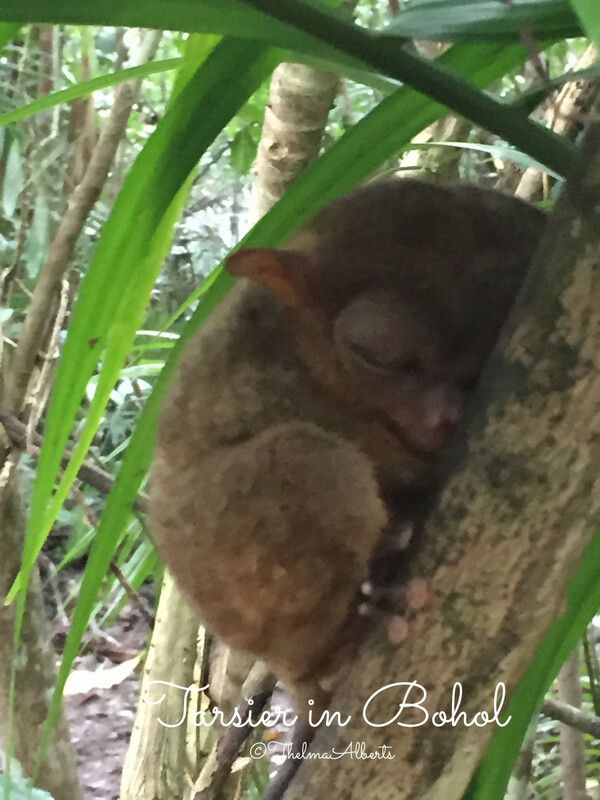 After you turn off from the Princes Highway there is about a 5 km drive into the bush, on this travel you are likely to see some of the wild life in the area, such as Kangaroos, Koalas etc. When you reach the site it is very impressive indeed stretching out in all its Glory spanning the Snowy River Flood plain. When you stop and turn off the Motor Car you are struck by the 'silence' of the bush! All you can hear is the rustle of the wind in the trees and the singing of the birds! If you stop and close your eyes you may even hear the ghosts of the past as the men go about the massive task of building this Stony Creek Trestle Bridge! You said the bridge was how long exactly??? How far down is that? How tall did you say this bridge is ? For those of us who enjoy Bicycle riding there is a very interesting journey for you to contemplate! There is a trail aptly named 'East Gippsland Rail Trail' which winds from Bairnsdale all the way to Orbost. This Rail Trail was constructed after the Rail Line was closed in the 1980s. If you don't want to do the whole trail there are many places to park your vehicle and jump on your bike. 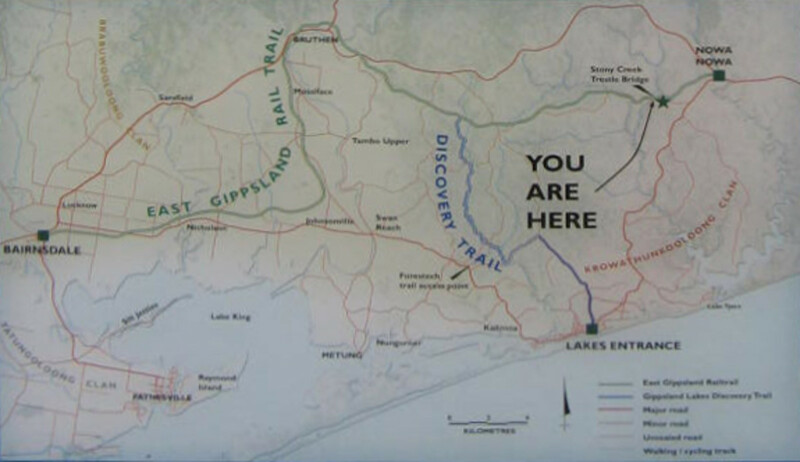 The active map above indicates the Rail Trail and it is quite easy to see where the Stony Creek Trestle Bridge is located on the Trail. The Author has ridden this Trail and often sees wild life along the way ! To be Honest Never Thought About it ! oliversmum thanks for you kind comment. You are so right about the Stony Creek Trestle Bridge. I am definitely going to pencil it into my diary to pay another visit to the Trestle Bridge, when we move it will not be such a long drive to get to Nowa Nowa! Agvulpes. Hi. 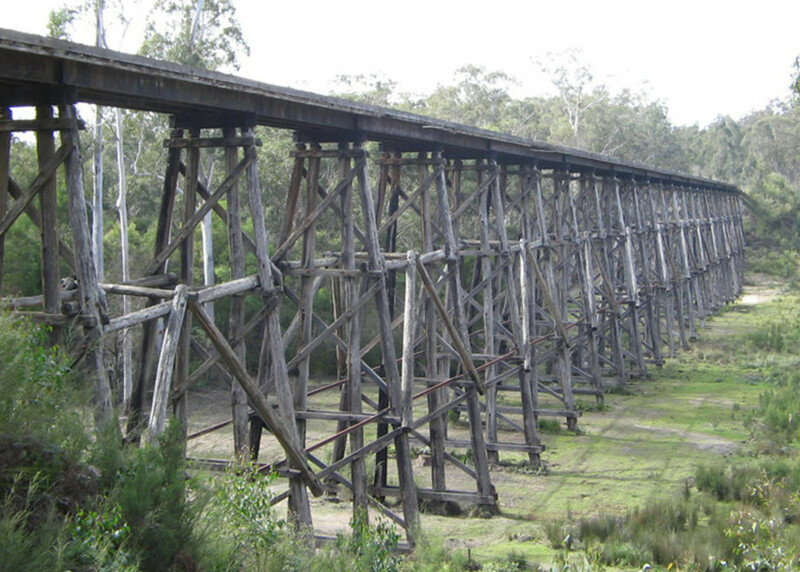 Your description of The Stony Creek Trestle Bridge in Nowa Nowa,Victoria is wonderful. We have been there,it is such a beautiful spot,the bridge is magnificent, and so high,to just sit under it and watch the birds and animals and the world go by it is so peaceful and magical. So much history. What these men did with a minimal amount of tools, it must have been so very hard. Thanks for all this great information and reminding us of what a beautiful part of the world that we live in. thanks world-traveler for dropping in and checking out my Trestle Bridge Hub. The engineering in those days was amazing and very, very labor intensive. I have been told by the historians of the area that the only materials that were brought to the Stony Creek Trestle Bridge was the metal hardware needed to bolt and tie the bridge all together. The old train bridges have always facinated me. Amazing engineering and lots of labor. Thanks for the information. Amazing what men could do so long ago with ropes horses, and mules. Pure determination. earnest, I thought that you may enjoy this hub on the Stony Creek Trestle Bridge as I know that this was close to you old stamping ground and felt that you may have spent some time in Nowa Nowa and Lakes Entrance! earnestshub, have you ever been to have a look at the trestle bridge that crosses Stony Creek? 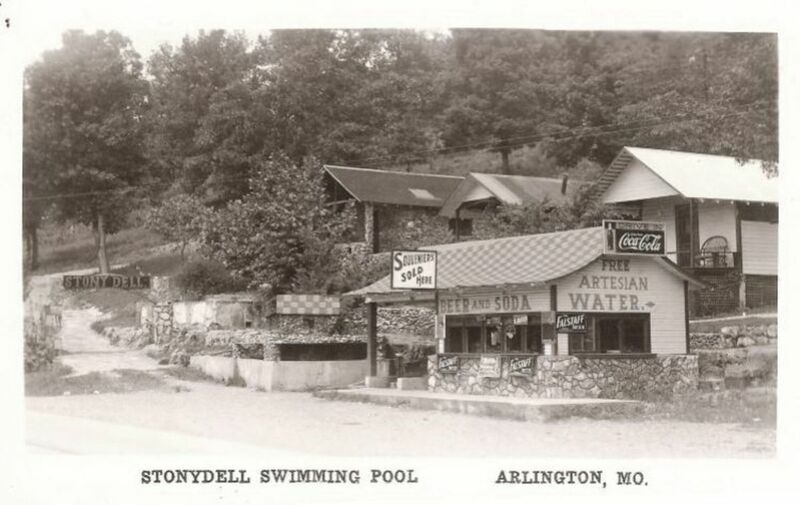 Thank you for this hub on the Stony Creek Trestle bridge ag, it is an important part of our history and I am pleased to see all the historic pictures here too. Great work! @wilbury steve, thanks for dropping in a leaving such kind words. Australia has a lot of interesting History which I would like the rest of the world to see! Hi PAPA-BEAR thanks for dropping in! Yeh man when you visit these types of places they seep history and you can feel the atmosphere in the air! Can't you just imagine how hard these guys had to work? Winter and Summer no let up! Some places, some structures never receive the shout that they deserve. If it could talk the stories it would tell, because yours has told a lot. Thank you. Wow it looks like a really awesome old bridge! 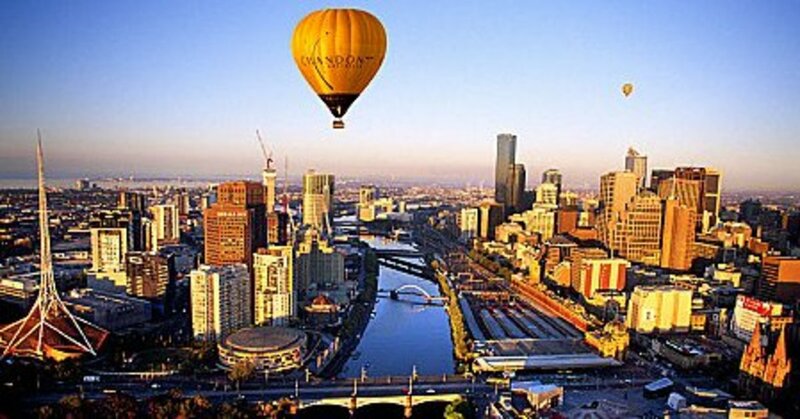 Australia is one of the countries I have always dreamed to visit.....Oh I need a vacation. dahoglund oh yes this one is special. When you get out of your car (it is the only way to get there) it is almost a spiritual feeling. You can almost see the men climbing up and down the poles and the photos don't really do the structure justice. 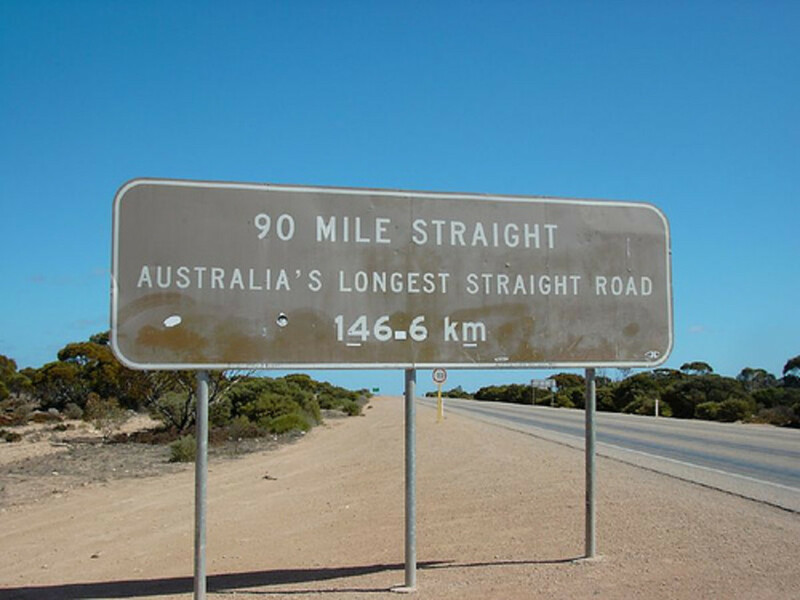 If I ever get to Australia I'll have to look this up. bridges are one of thee more interesting things anywhere.